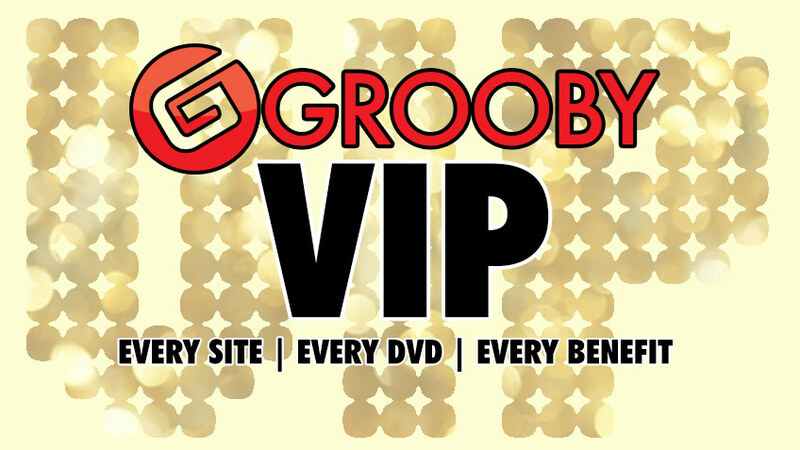 Grooby VIP is our exclusive discount package that gives you huge benefits and rewards at a heavily discounted price! VIP membership gives you access to every Grooby website for 12 months, along with automatic memberships to any other website we launch during that time. You’ll also get a free ticket VIP ticket The TEA Show, a dedicated account manager, extra freebies and giveaways by mail when available and the ability to suggest new shoots or model re-shoots. The VIP membership costs $1200 per year, which sounds expensive but is actually over 65% off the full price of these websites if you were to join them separately. Love our GroobyVR content? You got it! With a VIP membership we’ll give you a code to download every title – and that includes future releases too! We also have a Grooby DVD Membership which gives you every DVD released in a 12 month period, consisting of 3-4 DVDs per month available for digital download from www.groobydvd.com. The DVD membership is available for an additional $450. Just imagine, no decisions to be made over what site to join next. No checking that you’ve cancelled a membership. You get access to everything and when we launch a new site, your username and password will automatically be added. No needing to join a site just to see one girl you really like, it’s all available to you! The DVD membership works the same. We’re able to bring between 36-46 DVDs a year to you for all included, no hassle, with a monthly link emailed to you for direct digital download. Every single Grooby Website or every Grooby DVD for a single, one-time, heavily discounted price! Over 40+ DVDs each year!